When we visited India in 2009, our first destination was Jaipur – popularly known as the Pink City – the capital and largest city of the Indian state of Rajasthan, the city’s population is a little over 3.2 million people. It is a fantastic and very chaotic city, a visit you shouldn’t avoided if you are visiting northern parts of India. 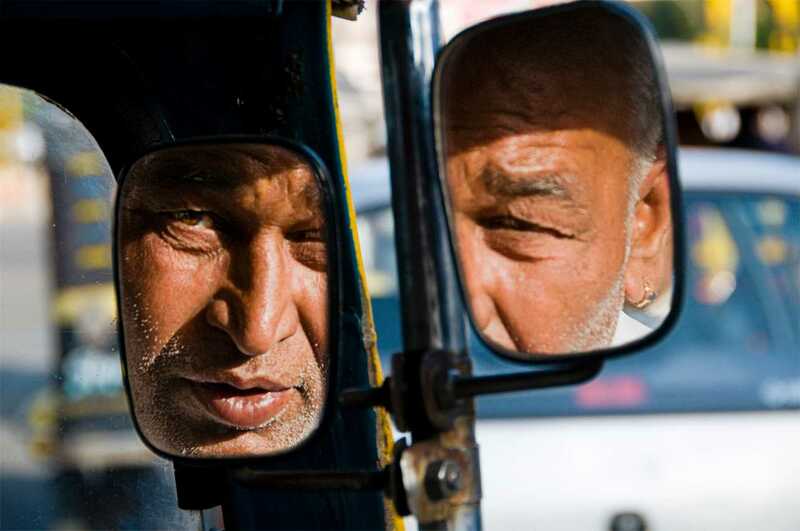 The man on the photo is Sharam – he was our Chauffeur in three of the four days we spent in Jaipur. The image is made up of two exposures, one with his face in the mirror and one covering everything else. He sat in the shadow of his tuk-tuk which made it impossible to do the picture in one shot. Sharam by Bo47 is licensed under a Creative Commons Attribution-NonCommercial-NoDerivatives 4.0 International License.